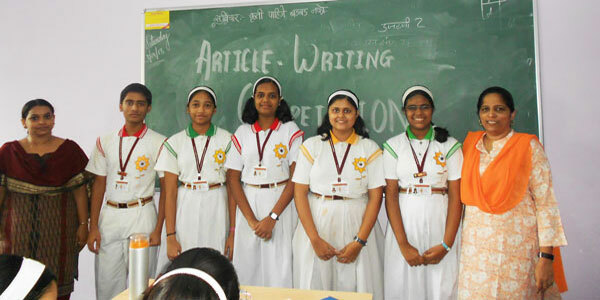 An article writing competition was organised for the students of Class X on the 26th April, 2013. The aim was to develop the skill to present a topic with fluency and correctness of language and narrate cause and affect relationship. The topic was 'Importance of Books and Reading'. All the students participated in the competition enthusiastically. They were alloted two periods to complete the article. The students were assessed on the criteria like the context, fluency of language, sentence structure etc.